I would agree and would find it easier to be friends with them. I would agree, but it wouldn't make any difference to our friendship. I would disagree, but it wouldn't make any difference to our friendship. I would disagree and would find it harder to be friends with them. 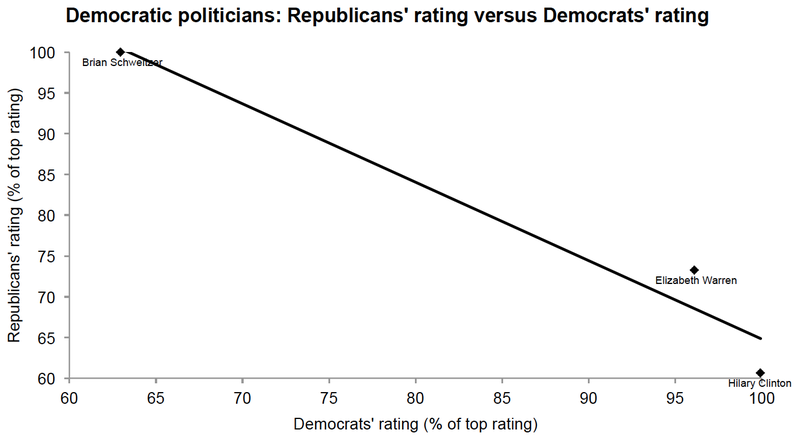 The chart below plots the percentage of respondents from each party who answered, "I would disagree and would find it harder to be friends with them." Interestingly, 40% or more of Labour and Lib Dem supporters said they would find it would harder to be friends with someone who became a UKIP supporter; among Conservative supporters, the figure was 13%. 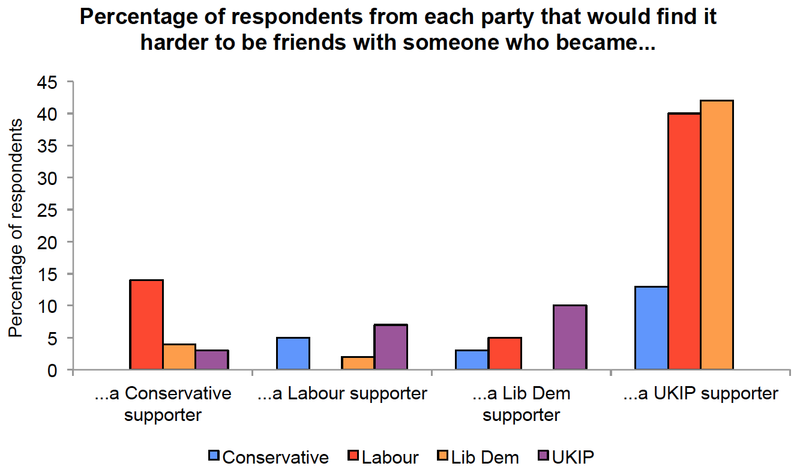 In contrast, no more than 10% of UKIP supporters said they would find it harder to be friends with someone who became a supporter of one of the other parties. 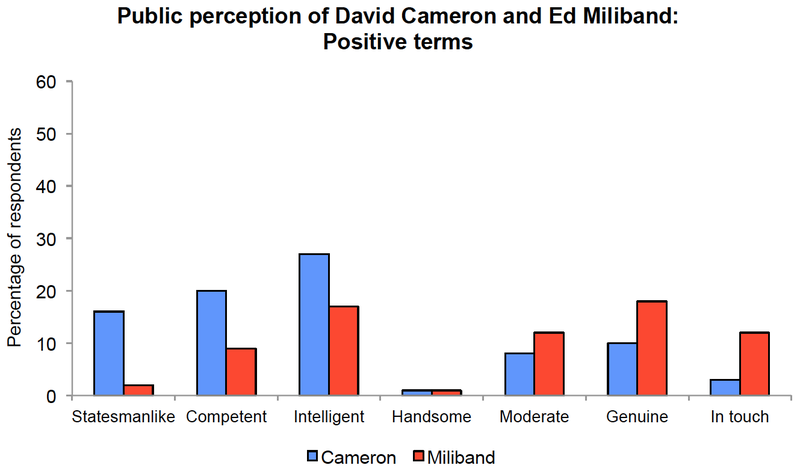 The comparison between Conservative and Labour supporters is also interesting. Only 5% of Conservative supporters said they would find it harder to be friends with someone who became a Labour supporter, yet 14% of Labour supporters said they would find it harder to be friends with someone who became a Tory. "I never considered a difference of opinion in politics, in religion, in philosophy, as a cause for withdrawing from a friend." 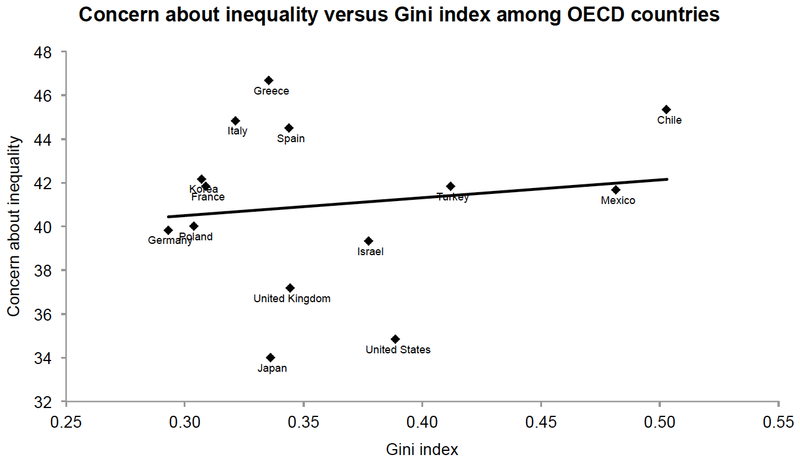 Does r - g cause inequality? In his bestseller Capital in the Twenty-First Century, Thomas Piketty argues that a key driving force behind income and wealth inequality is r - g, the difference between the rate of return on capital and the growth rate of the economy. 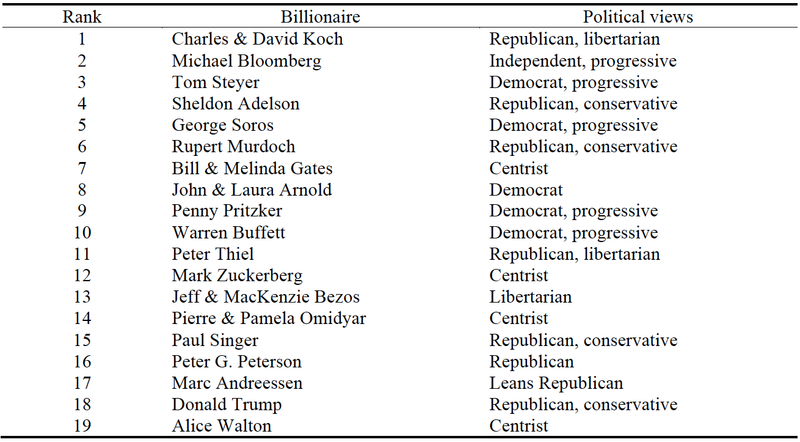 Because the rich hold a disproportionate share of the capital, when r is greater than g, income should accrue to the rich at a faster rate than it accrues to the middle-class and the poor, leading to ever greater concentration of income and wealth. 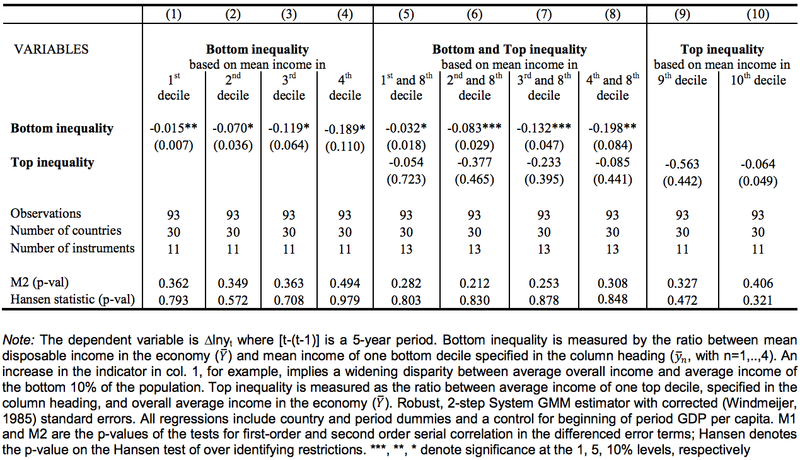 Yet in a recent working paper, Daron Acemoglu and James Robinson document essentially zero empirical support for the claim that r - g is an important cause of income inequality. 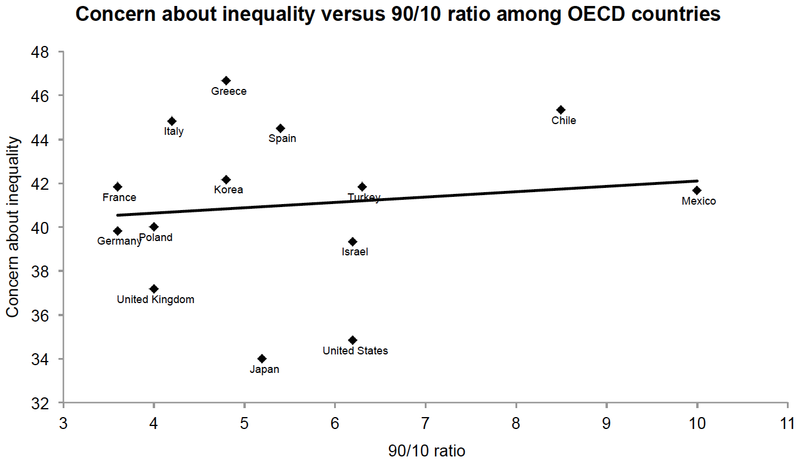 They examine the effect of r - g on the top 1% income share using data on a panel of up to 28 countries from 1870-2012. 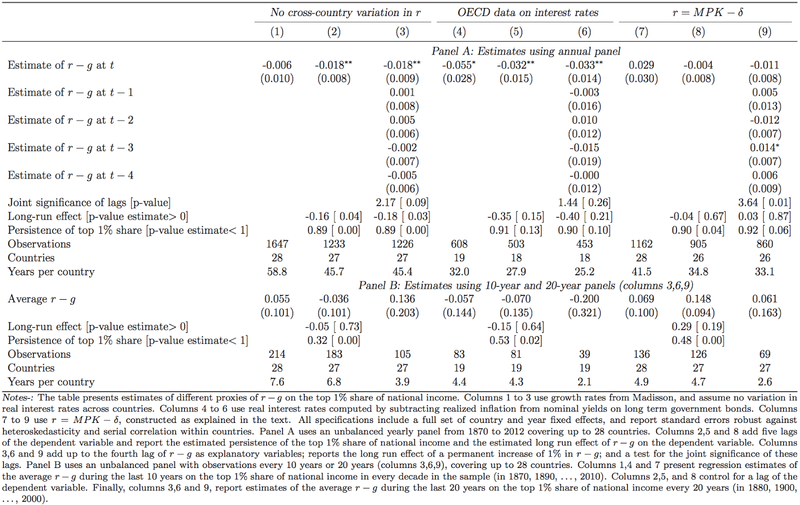 Across a variety of different specifications, encompassing three alternative definitions of r - g (details of which can be found on pages 13-14), they generally observe non-significant estimates of r - g; among those that are significant, the majority are negative rather than positive. Their main table is shown below. Though this evidence is tentative and we are not pretending to estimate any sort of causal relationship between r - g and the top 1% share, it is quite striking that such basic conditional correlations provide no support for the central thesis of Capital. 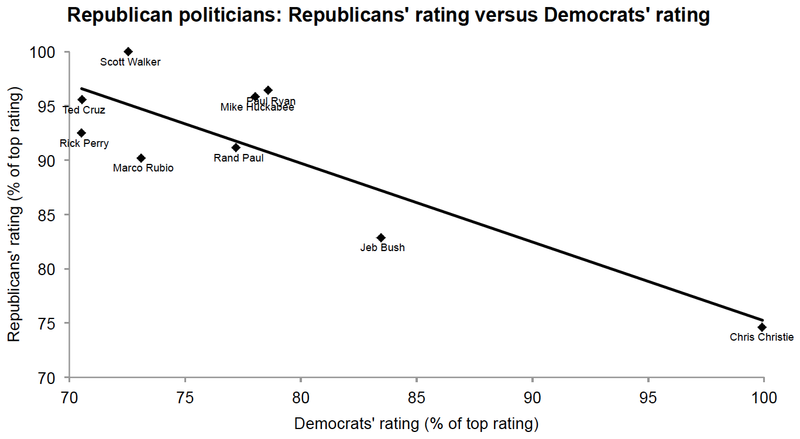 This is not to say that higher r is not a force towards greater inequality in society--it very probably is. 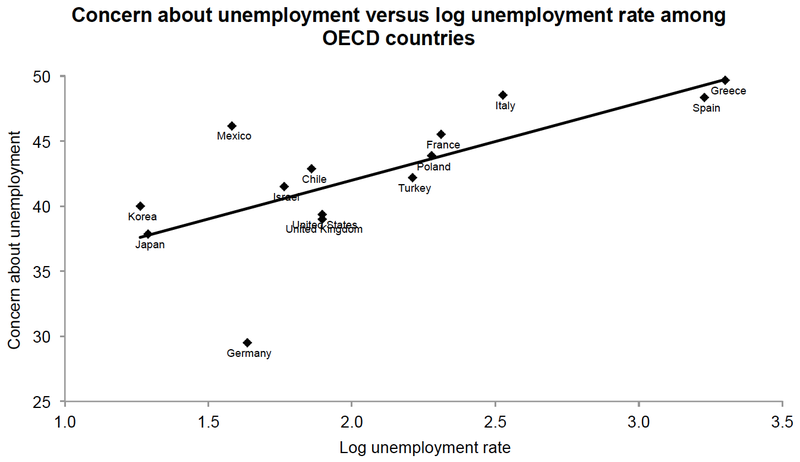 It is just that there are many other forces promoting inequality and our regressions suggest that, at least in a correlational sense, these are quantitatively more important than r - g.
While the unemployment rate in the US has fallen over the last few years, there has been a notable decline in the labour force participation rate. As a consequence, the employment-population ratio has been largely stagnant since the depth of the recession in late 2009. Of course, part of the decline in the labour force participation rate is attributable to population ageing. In this post, I examine the potential contribution of declining labour force participation among working age adults to unemployment in the US since 2008. The first chart displays the percentage of the working age population in the labour force for 2008-2013. This was calculated using data on population structure from the World Bank, and data on labour force participation from the Bureau of Labour Statistics. (Incidentally, because the BLS gives the labour force participation rate for the population aged 16 and above, yet the World Bank gives the young dependency ratio for the population aged 15 and above, I had to make an adjustment in order to calculate the population aged 16 and above. In particular, I subtracted 1.4% of total population, which is approximately equal to the proportion of individuals aged 15 in the US in 2008.) The labour force participation rate among working age adults declined by 1.9 percentage points (2.4%) between 2008 and 2013. By my calculation, population ageing accounts for only 1.2 percentage points (44%) of the decline in the labour force participation rate between 2008 and 2013. I recalculated the US unemployment rate for 2008-2013 under the assumption that every working age adult who exited the labour force over this period actually became unemployed. The second chart displays the observed unemployment rate and the recalculated unemployment rate for 2008-2013. 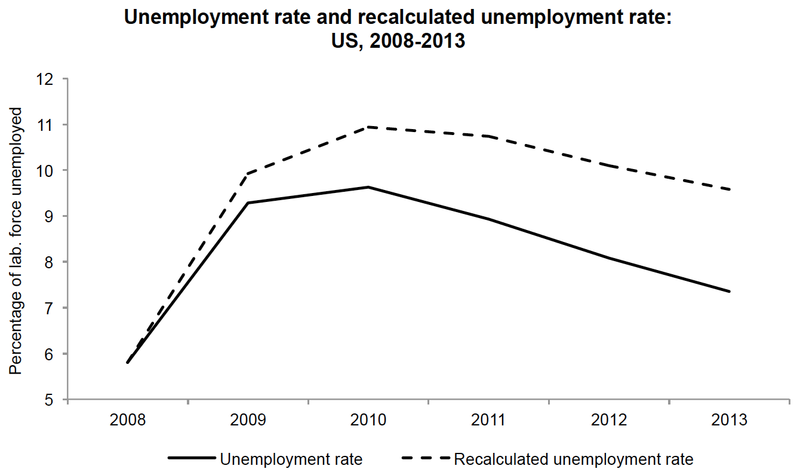 By 2013, the recalculated unemployment rate is 2.2 percentage points (30%) higher than the observed unemployment rate. Assuming that the deficit in labour force participation among working age adults over this period represents additional unemployment, cumulative unemployment from 2008 to 2013 was 18% higher than the observed unemployment rate suggests. People tend to think of prohibition as the ultimate form of regulation when in fact it represents the abdication of regulation with criminals filling the void. Which is why putting criminal laws and police front and center in trying to control a dynamic global commodities market is a recipe for disaster. And what we really need to do is to bring the underground drug markets as much as possible aboveground and regulate them as intelligently as we can to minimize both the harms of drugs and the harms of prohibitionist policies. When researchers ask heroin addicts what's the toughest drug to quit, most say cigarettes. Yet in my country and many others, half of all the people who were ever addicted to cigarettes have quit without anyone being arrested or put in jail or sent to a "treatment program" by a prosecutor or a judge. 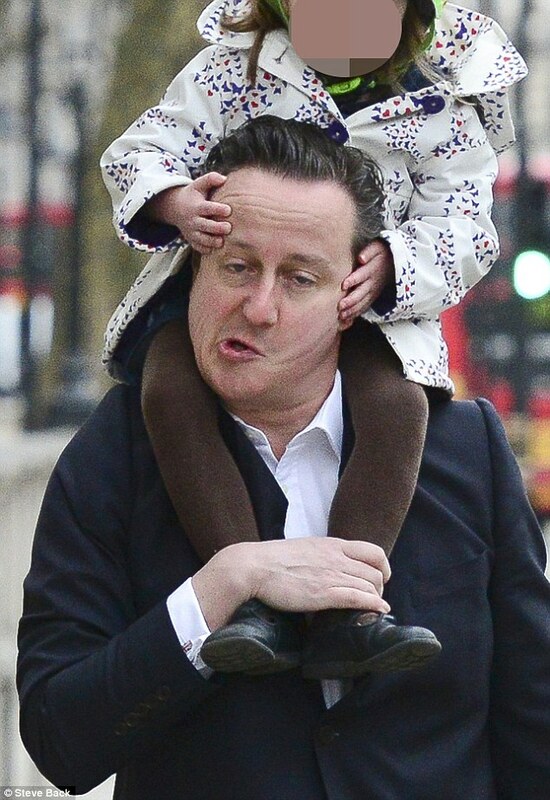 What did it were higher taxes and time and place restrictions on sale and use and effective anti-smoking campaigns. 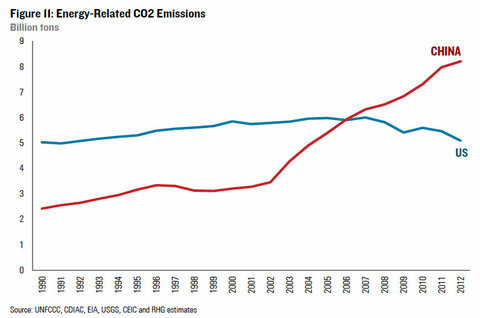 In an age of increasing political polarisation (at least in the US), narrative-friendly rhetoric may be the best available tool for achieving bipartisan co-operation, which is likely to be a precondition for good public policy. 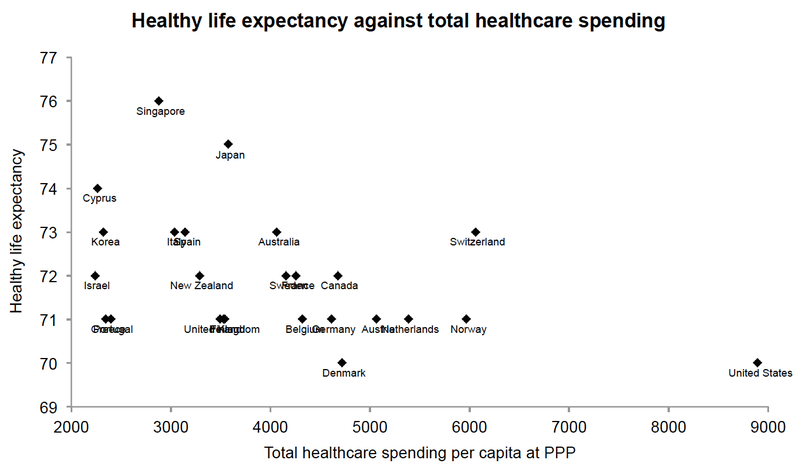 A few days ago, I posted about the relationship between longevity and healthcare spending among developed countries, finding it to be negative. Scatterplots suggested that most of the variation in longevity across developed countries is between regions; citizens of East Asia and the Mediterranean appear to live longer than citizens of North West Europe and the former colonies. Here I check this intuition by running some simple regression models. For the sake of brevity, I focus on healthy life expectancy since that is arguably the measure we should care more about. Rather than arbitrarily selecting advanced countries, I simply take all 33 countries with a healthy life expectancy of 70 or higher from the WHO database. This adds 8 more countries to my original sample of 25, namely: Andorra, Chile, Iceland, Luxembourg, Malta, Monaco, San Marino, and Slovenia. I group the countries into four regions: Northern Europe, the former colonies, the Mediterranean, and East Asia. In addition, I control for the percentage of the population older than 65, using figures from the World Bank and the CIA World Factbook. The first table displays the results for total healthcare spending per capita (measured at PPP). The second displays the results for government healthcare spending per capita (also measured at PPP). In both cases, the effect of healthcare spending is non-significant in all three models; it does, however, switch from negative to positive when region is introduced. As expected, region explains a considerable proportion of the variation in longevity (~50%). East Asians live longest, followed by Mediterraneans, while Northern Europeans and the citizens of former colonies live shortest. Interestingly, percentage older than 64 doesn't account for the negative effect of healthcare spending on longevity. 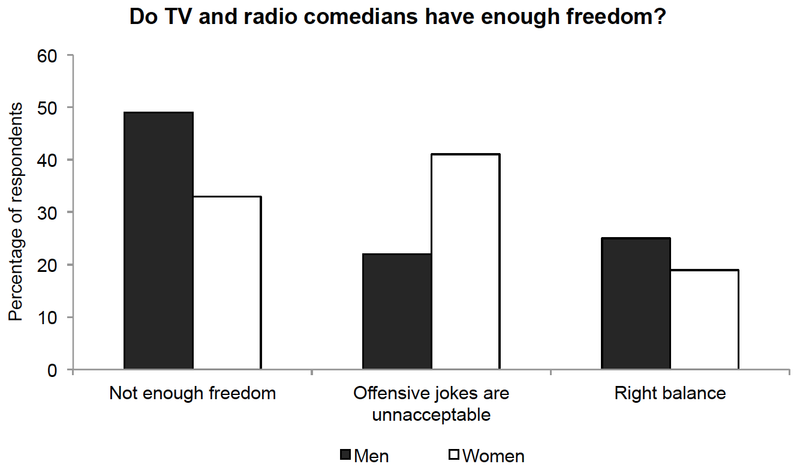 Incidentally, the results in the third column were practically identical when percentage older than 64 was omitted, as well as when the sample was restricted to the original 25 countries. 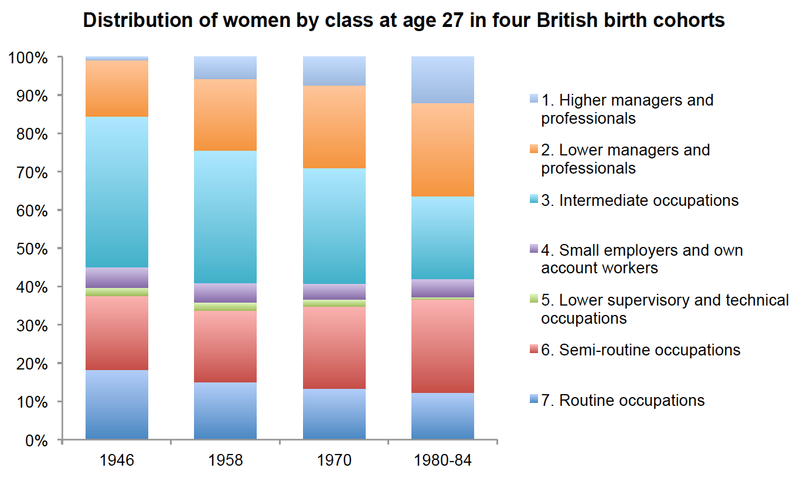 Yesterday I plotted the distribution of men and women by class at age 27 in four British birth cohorts, using data from a recently published paper. However, many individuals will not have reached their final class position by age 27 (as a friend of mine points out), meaning that the proportion of people eventually ending up in Classes 1 and 2 will have been underestimated. Accordingly, below I plot the distributions of men and women by class at age 38 in each of the first three birth cohorts (data for this age on members of the 1980-84 cohort are obviously not yet available). 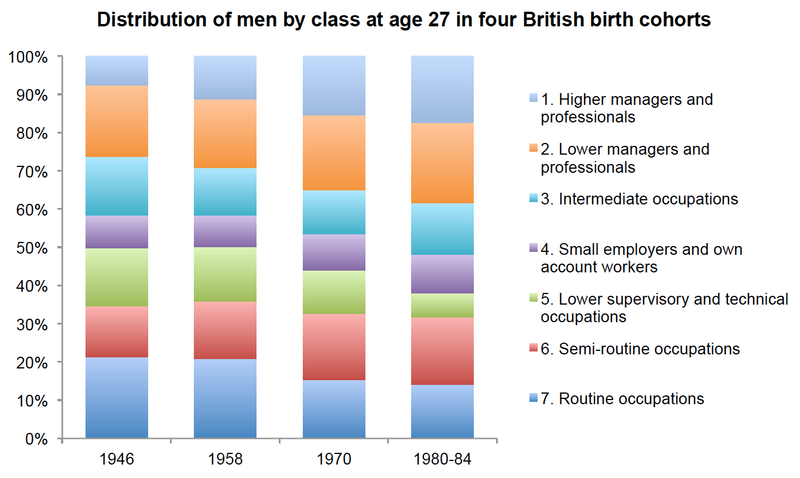 In the case of men, there has been a rise in membership of Classes 1 and 4, along with a decline in membership of Classes 2 and 7. In the case of women, there has again been a rise in membership of Classes 1, 2 and 6, along with a decline in membership of Classes 3, 5 and 7. 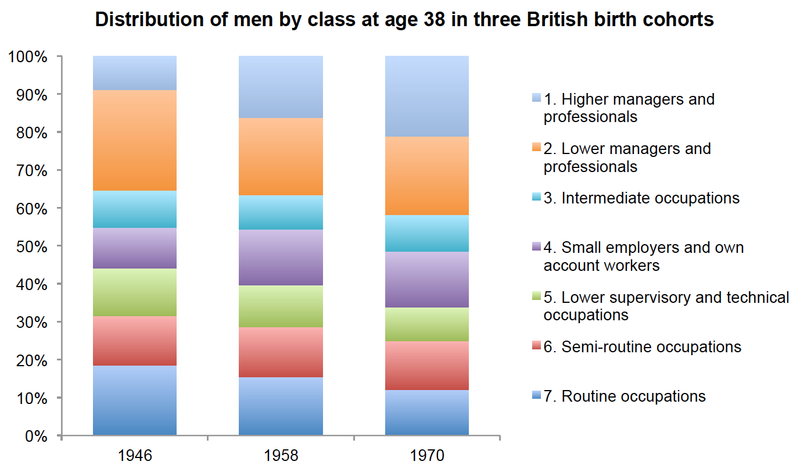 How has the British class structure changed over the last half century? Classes 1 and 2 of NS-SEC refer primarily to positions in which, to a greater (Class 1) or lesser (Class 2) degree, professional and managerial employees provide service to an employing organization, on the basis of an at least implicitly continuing contract, in return for salaries on an incremental scale, structured career opportunities, and a range of fringe benefits. In contrast, Classes 6 and 7 refer to positions in which, to a greater (Class 7) or lesser (Class 6) degree, employees engaged in more routine tasks sell their labour to an employing organization, on the basis of a contract subject to short-term discontinuation, in return for wages that are related to output or time worked. Classes 3 and 5 then refer to positions defined by employment relations that are ‘mixed’ in the above respects, while Class 4 refers to the obviously quite different positions of self-employed workers and small employers. 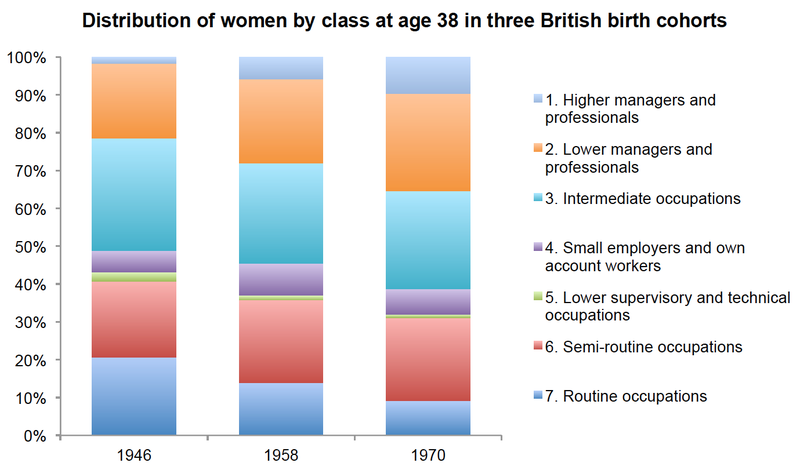 Below I plot, for and men and women separately, the distribution of individuals by class at age 27 in each of the four birth cohorts (if you can get past the paywall, see their Tables I-II). Individuals who were not employed at age 27 were classified by Bukodi et al. on the basis of their most recent employment stint. In the case of men, there has evidently been a rise in membership of Classes 1 and 6, along with a decline in membership of Classes 5 and 7. In the case of women, there has evidently been a rise in membership of Classes 1, 2 and 6, along with a decline in membership of Classes 3, 5 and 7; women's rise in membership of Class 1, and decline in membership of Class 3, are particularly striking. This post investigates the relationship between longevity and healthcare spending among developed countries. The sample comprises 25 countries from North America, Western Europe, and the Pacific; those with a population of less than 1 million (e.g., Luxembourg) were not included. To measure longevity, I use life expectancy and healthy life expectancy. To measure healthcare spending, I use total healthcare spending per capita at PPP, government healthcare spending per capita at PPP, and non-government healthcare spending per capita at PPP (total spending - government spending). All data, which were obtained from the WHO database, are for 2012 (the latest available year). The table below displays simple, bivariate correlations between the two measures of longevity and the three measures of healthcare spending. Surprisingly, all six correlations are negative: longevity tends to be lower in the countries with higher healthcare spending. Two of the correlations are significant at p < 0.05, and one is significant at p < 0.1. Scatterplots of the relationships significant at p < 0.05 are displayed further down the page. 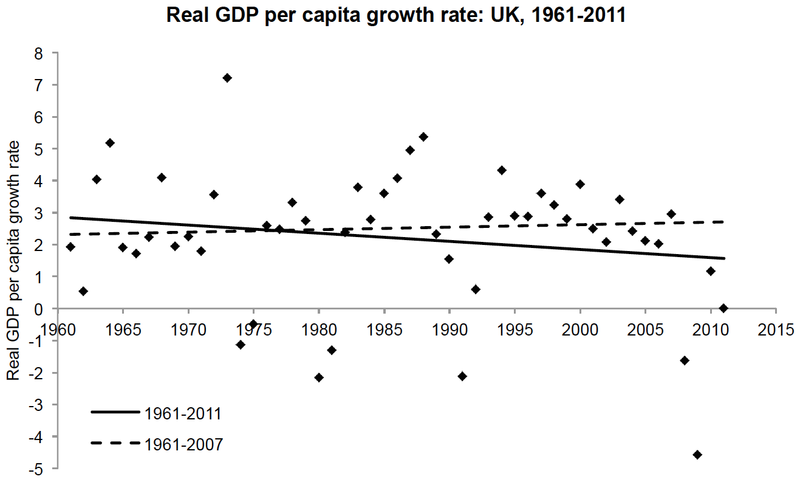 When all rich and poor countries are considered together, there is a positive logarithmic relationship between GDP per capita (a proxy for healthcare spending) and longevity; this is termed the Preston curve. Yet it has long been known that, above a certain point, average income (at least within the range of empirically observed variation) has almost zero impact on population longevity. For example, Costa Rica (with a GDP per capita of around $13,000) has a slightly higher life expectancy than Denmark (with a GDP per capita of around $38,000). As the charts below indicate, much of the variation in healthy life expectancy across developed countries is attributable to differences in lifestyle. Most of the relatively long-lived countries are found in East Asia or the Mediterranean (regions known for balanced diets and moderate alcohol consumption), while most of the relatively short-lived countries are found in North West Europe or North America (regions known for excessive consumption of food and alcohol). In addition, average longevity in the US is pulled down by the unusually large number of homicides and fatal car accidents there. 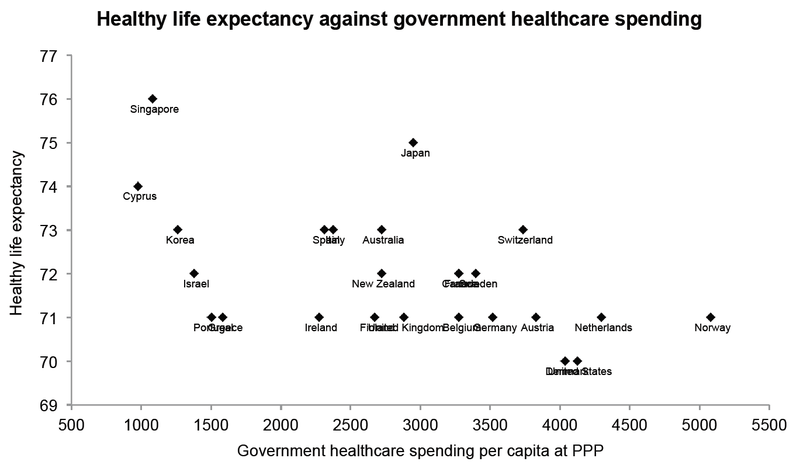 One possible explanation for why the countries with higher government healthcare spending tend to have lower longevity is that individuals take less care of themselves when they know the government will pay their medical expenses. However, evidence for this hypothesis is weak at best, given the small sample size, the lack of controls, and the fact that the correlation is significant for only one of the two longevity measures. The main point is that it there doesn't seem to be any evidence of a significant positive relationship between longevity and healthcare spending. One conclusion that is perhaps more reasonable to draw from the present analysis is that, in developed countries, funding healthcare is a relatively ineffective form of public spending. Beyond the first couple of thousand dollars per person, money spent on healthcare might be better allocated to education, infrastructure, scientific research, or poverty relief. This is not to say that the government shouldn't provide healthcare or that we should move toward the highly inefficient US system, but simply that once people's basic needs have been taken care of, the return to additional expenditure may be quite low. This conclusion obviously requires a number of qualifications. First, it might be that, due to our unhealthy lifestyles, longevity in a country like the UK would be much lower if not for our moderate level of healthcare spending. Second, longevity is only one aspect of health. It is possible that, despite living long, healthy lives, the citizens of countries like Singapore, Cyprus and Israel experience considerable psychological distress. 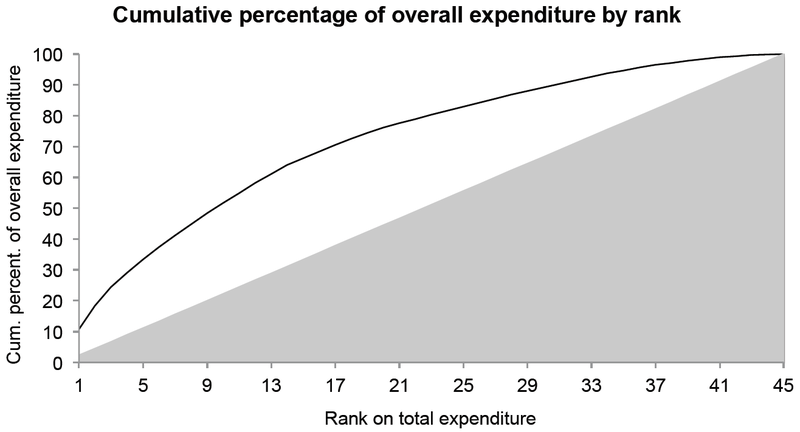 Third, some of the variation in healthcare spending across developed countries may be attributable to the fact that citizens from countries with low levels of spending (e.g., Israel) tend to purchase healthcare in countries with high levels of spending (e.g., the US). Fourth, reallocating money away from healthcare might force us to make trade-offs that would be widely regarded as repugnant, such as withholding funding to extend an elderly person's life by a few months (though NICE already does this). Fifth, it is undoubtedly true, at least to some extent, that the absence of price controls on drugs in the US benefits the citizens of every other country. Therefore, it may not be possible for all countries to simultaneously reallocate money away from healthcare without there being some decline in pharmaceutical innovation. Yesterday, it was reported that the UK Treasury has started sending out letters to British taxpayers which detail exactly how their taxes will be spent. While I thoroughly approve of this idea, the categorisation scheme used by the Treasury has come under fire from critics. In particular, it has been argued that the Treasury employed a misleadingly broad definition of welfare, possibly in an attempt to weaken public support for welfare spending. 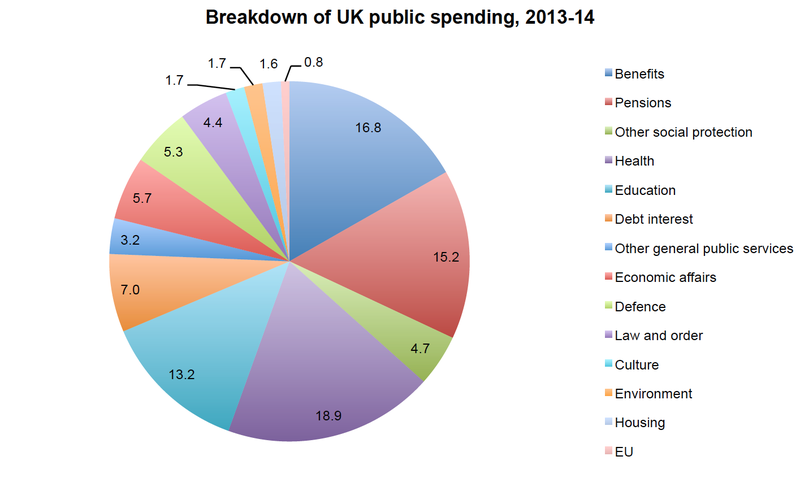 I decided to graph the numbers myself, which were taken from Public Expenditure Statistical Analysis 2014. Social protection, the single largest category, has been disaggregated into Benefits, Pensions, and Other social protection (as recommended by the IFS); General public services, the fourth largest category, has been disaggregated into Debt interest and Other general public services. 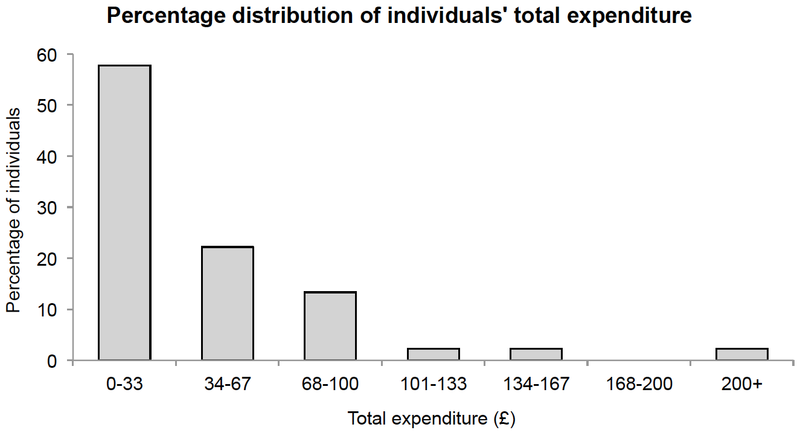 Incidentally, I find it remarkable that Law and order comprises only 4.4% of spending. It is also surprising to me how much goes toward Debt interest, and how little goes toward the EU.